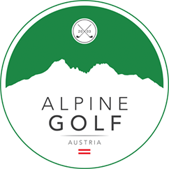 Winner of ‘Undiscovered Golf destination of the Year 2005’, Austria is firmly established on the global golfing map and offers top quality, challenging golf in the Alps. Most of the courses are of Championship standard with the quality of maintenance from tee to green consistently first class. Add to this smart yet informal clubhouses, restaurants and bars, quality accommodation and the typical warm and friendly Austrian welcome and you’ll wonder why it took so long to discover this golfing gem. Green Fees typically range from €60 to €100 per round and offer outstanding golfing value for money. 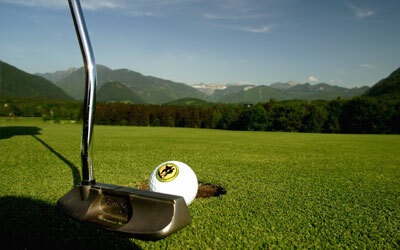 The Golf Alpin card offers 3,4 and 5 round packages and we offer this in conjunction with Hotel packages. This is valid all year round and offers a saving on individual green fees. Having played most of the courses, we will be pleased to make recommendations and book tee times on your behalf. Most clubs offer Buggies, e-carts and trolleys. These can be pre-booked and paid for locally. If you have a handicap certificate, you should take this with you. Whether you stay in or around Kitzbuhel, Zell am See-Kaprun or in or around Salzburg, you’ll never be far away from some outstanding golf courses. 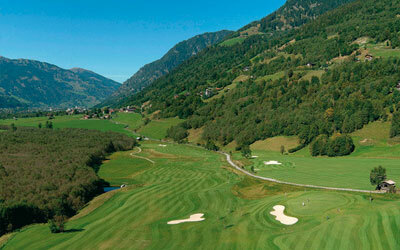 Golf Clubs Kitzbuhel-Eichenheim, Gut Altentann, Urslautal, Mondsee and Dachstein are amongst our favourites. 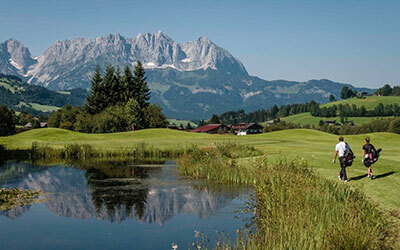 Promoting itself as the golfing centre of the Alps, Kitzbuhel offers two excellent 18-hole courses and two 9-hole courses with many more courses within easy striking distance. 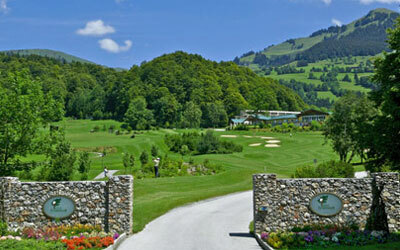 Golf Club Kitzbuhel-Eichenheim should be on your must-play list for its wonderful design and its uber-stylish clubhouse. Surrounded by the mountains of the Wilder Kaiser, Kitzbuheler Horn and Hahnenkamm, GC Kitzbuhel-Schwarzsee is a great test of golf with its signature hole the precipitous, par 3 16th Hole (the Mousetrap). Wonderful views of the Wilder Kaiser mountains from the clubhouse terrace. A contender for Austria’s best golf course, US architect Kyle Phillips sculpted the mountainside to create some truly stunning holes with clever use of the terrain and its natural elevations. An exclusive yet welcoming clubhouse will complete your visit. Buggies recommended! 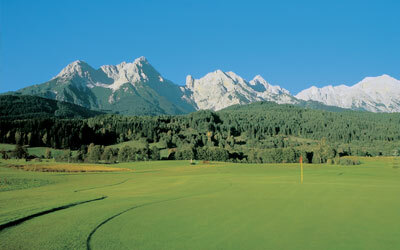 Named after the mighty Wilder Kaiser mountains under whose gaze the course is set, three 9-hole loops are on offer all offering more of a challenge than would first appear. The well-kept greens hide some cheeky undulations and the Clubhouse offers magnificent views. Situated on a natural plateau just outside the pretty Tyrolean village of Westendorf, the Championship course at GC Westendorf is a relative newcomer and has been crafted through the pine forest. Modern clubhouse with a fine terrace overlooking the shared 9th and 18th greens. 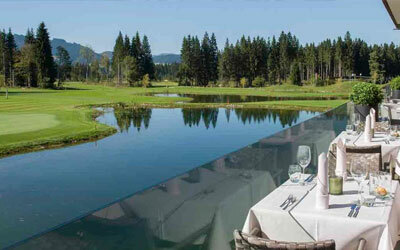 Founded in 1969, the GC Kaiserwinkl is a well-established course flanked by thick pine forests and meadows. Precision and accuracy off the tee rather than length is the order of the day to keep your ball in play. 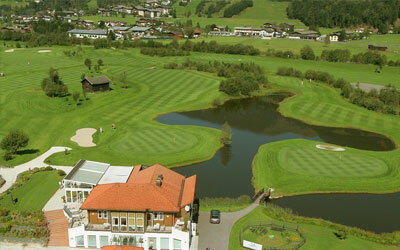 The Golf Club Zell am See-Kaprun offers two challenging Championship courses and there are other gems to be discovered in Mittersill, Bad Gastein and around Saalfelden. 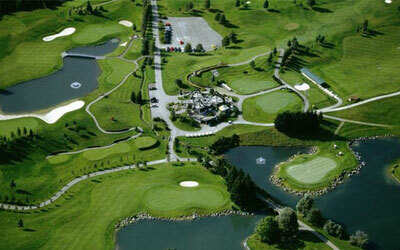 Designed by Donald Harradine, GC Zell am See-Kaprun offers two flat, parkland style 18-hole championship courses whose fairways have graced the footsteps of Greg Norman, Bernhard Langer, Seve Ballesteros and John Daly. Wonderful mountain views from the Clubhouse terrace. 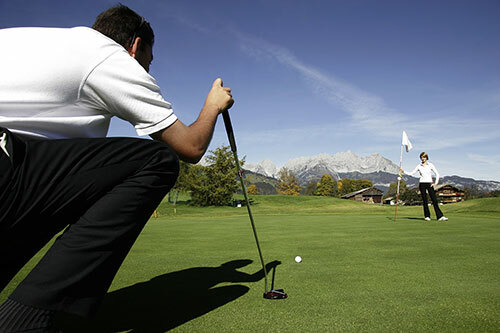 Sandwiched between the mountains of the Hohe Tauern National Park and the Kitzbuheler Alps, Mittersill is equidistant from Zell am See and Kitzbuhel and the Golf Club Mittersill offers a flat yet challenging and tactical test of golf. Plenty of water, doglegs and an island green par 3 to complete your round. Another Donald Harradine creation, this course is all about the Saalach River which forms an integral part of the course and needs to be carried no less than six times during your round. Narrow fairways, well-established pine forests and strategically placed bunkers all add to the challenge. Alpine golf at its finest. 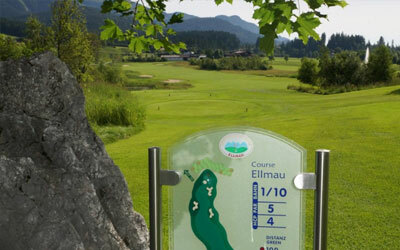 Situated on a on a plateau between Maria Alm and Saalfelden and under the constant gaze of the impressive Steinernes Meer mountains, this championship course is perfect for all abilities and includes some tricky greens. Friendly and welcoming clubhouse, impressive mountain scenery. Founded in 1960, GC Gastein is one of the oldest and most traditional golf clubs in Austria and is located in the middle of the Hohe Tauern National Park. 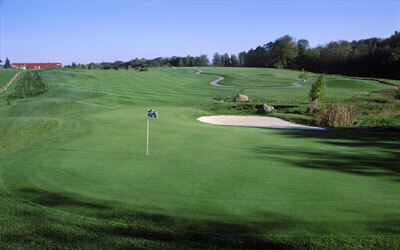 Well-manicured, undulating fairways are set amongst mature and well-established trees with natural, thermal springs a unique feature of the course. Comfortable clubhouse lounge and terrace. Home of the Birdie-Jet! This unique cable car links the 11th green to the 12th tee and offers a wonderful panorama over the 18-hole and 9-hole Championship layout. Pine forests, mountain vistas and rolling fairways. 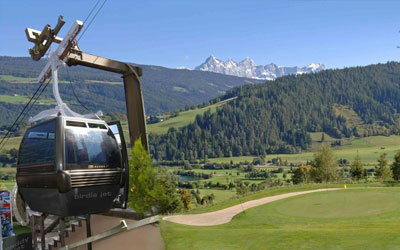 Great golf and more than just a quirky gondola ride. 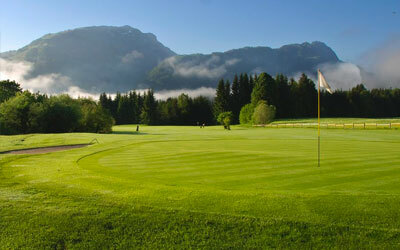 Around Salzburg, the countryside is less mountainous and more hilly and is home to some of Austria’s best golf courses. 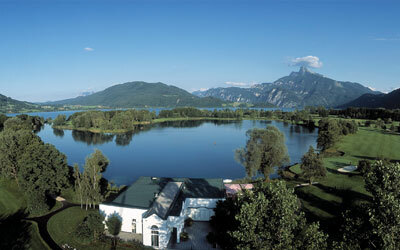 Jack Nicklaus-designed Gut Altentann and Golf Club Mondsee with its treacherous closing holes are two of our favourites. This was Jack Nicklaus’s first European course design and is now ranked in the top three courses in Austria and has played host to the Austrian Open. Trademark Nicklaus hillocks, fairway undulations, some truly enormous bunkers and plenty of water feature heavily. Lovely, old farmhouse-Clubhouse with vaulted wooden ceiling. 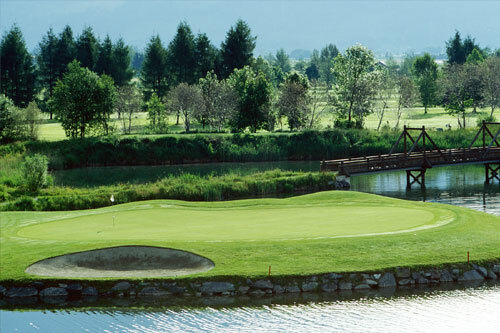 The Golf Club Salzburg - Eugendorf is the closest course to Salzburg airport (around 15 minutes drive) and offers a Florida-style layout with plenty of approach shots over water. 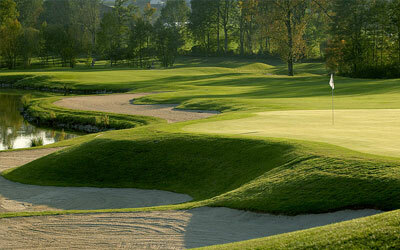 The course has hosted the Austrian PGA Championship and plays long yet reasonably forgiving off the tee. Approach shots to well-guarded greens are key. Classy ‘Gentlemen’s Club’ Clubhouse atmosphere and its own golf museum. Without doubt one of the best courses in the Salzburg area and is well worth the trip even if you are staying further afield. Solid and accurate tee shots over water are required on the closing (card-wrecking!) four holes. 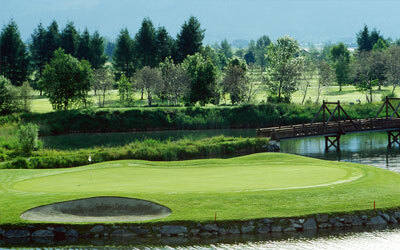 Take a refreshing dip in the lake before or after the 19th hole! Outside of the ‘Golf Alpin’ card scheme but well worth the extra green fee. Once played by Prince Edward in 1937 and one of the oldest and established courses in Austria, this is a mature course set over gently undulating parkland. Beautiful old trees line the fairways and this course makes excellent use of the natural contours of the land. The Pebble Beach of the Alps. Designed by Bernhard Langer in 1987, this is one of Austria’s best and is a stunning test of golf with abundant water and bunkers. Enjoy the confidence building opening holes before entering the course’s very own ‘Amen Corner’ and finish with the classic risk-reward par-5 18th and its enormous island green. Small supplement (€5) on top of the Golf Alpin card. 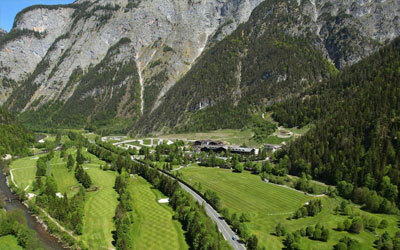 For further details and more courses, check out www.golf-alpin.at.